with a Bachelor of Science Degree in Mechanical Engineering. Louise H. Kraft and in 1940, his only child, Elaine Louise was born. assistant Salvage Officer. He died on October, 20, 1944. 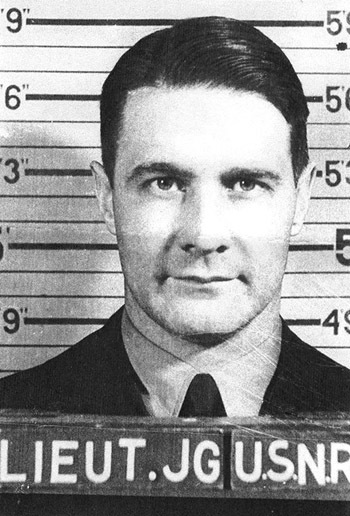 Motor Machinist's Mate Second Class John J. Wohlfit, United States Naval Reserve, was awarded the Silver Star for conspicuous gallantry and intrepidity in action and the Navy Commendation Medal while serving aboard the U.S.S. CANBERRA (CA-70), from 18 October to 27 October 1944. The ship was under continuing threat of enemy air and submarine attack, and rolling deeply and machinery spaces were encumbered by debris from the torpedo explosion. His efforts contributed materially to the ship being removed from dangerous enemy waters to a safe anchorage. His utter disregard for his own safety was at all times in keeping with the highest traditions of the United States Naval Service. 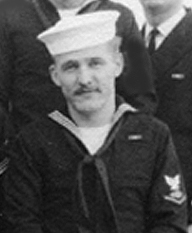 Carpenter's Mate First Class Charles Cockrell, United States Navy, was awarded the Silver Star for conspicuous gallantry and intrepidity in action and the Navy Commendation Medal while serving aboard the U.S.S. CANBERRA (CA-70), from 18 October to 27 October 1944. The ship was under continuing threat of enemy air and submarine attack, and rolling deeply and machinery spaces were encumbered by debris from the torpedo explosion. His efforts contributed materially to the ship being removed from dangerous enemy waters to a safe anchorage. His utter disregard for his own safety was at all times in keeping with the highest traditions of the United States Naval Service. 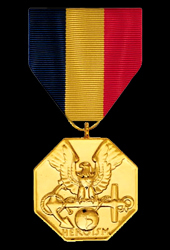 CWO-4 Peter Kowalchyk, United States Navy, was awarded the Silver Star for gallantry in action and the Navy Commendation Medal while diving aboard the flooded USS CANBERRA (CA-70), in the Phillippine Sea, from 21 to 27 October 1944. Peter Kowalchyk, 81, was born on June 26, 1917 and died on September 1, 1998. He was a recipient of the Silver Star Award for heroic efforts to save the cruiser USS Canberra from sinking in World War Two. He is intered at the Barrancas National Cemetery, Pensacola, Florida. 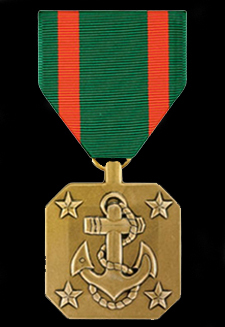 Shipfitter 2/c J.R. Barfuss, United States Navy, was awarded the Silver Star for conspicuous gallantry and intrepidity in action and the Navy Commendation Medal while Diving aboard the damaged U.S.S. CANBERRA (CA-70), from 18 October to 27 October 1944. The ship was under continuing threat of enemy air and submarine attack, and rolling deeply. The machinery spaces were encumbered by debris from the torpedo explosion. His efforts contributed materially to the ship being removed from dangerous enemy waters to a safe anchorage. 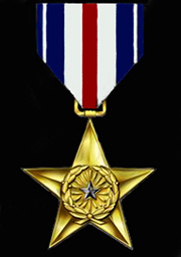 The President of the United States of America takes pride in presenting the Silver Star (Posthumously) to Lieutenant Paul Raymond Foltz, United States Naval Reserve, for conspicuous gallantry and intrepidity in action while serving with friendly foreign forces engaged in armed conflict against the North Vietnamese and Viet Cong communist aggressors in the Republic of Vietnam, on 21 October 1971. As Officer in Charge of Harbor Clearance Unit One Combat Salvage Operations in the U Minh Forest, Quang Nam, Vietnam, Lieutenant Foltz courageously led and directed two Navy salvage craft from HCU-1 and twelve men in salvaging a Vietnamese river craft which had been sunk by Viet Cong mines, rockets and swimmer sappers. 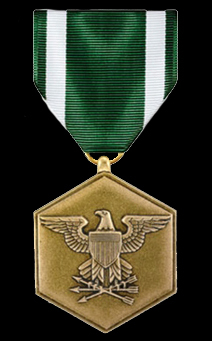 Lieutenant Foltz was in an exposed position in the lead craft calmly directing the progress of his convoy when the enemy launched a vicious mortar attack. Without regard for his own personal safety, he remained at his station courageously directing the defense. 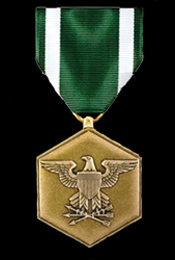 His outstanding performance of duty contributed significantly to the saving of other lives and to the United States Navy combat effort in the Republic of Vietnam. Lieutenant Foltz's exemplary professionalism and outstanding devotion to duty reflected great credit upon himself and were in keeping with the highest traditions of the United States Naval Service. Lieutenant Foltz is interred at Lebanon Cemetery in Midland, Indiana. Lieutenant Foltz was on his third tour of duty in Vietnam when he was killed by a B-40 rocket during the ambush on his salvage craft on the Trem Trem River. Mr. Maxwell was 68 years old and a lifelong resident of Ruleville, Mississippi and married his loving wife Mary Ruth Williams-Maxwell April 25, 1938 of Skene, MS. He is survived by his wife, a son James William Maxwell of Horn Lake MS, a daughter Ms. Cecilia Maxwell-Lusk of Ruleville MS and a second son Floyd Allen Maxwell of Millwood Texas. 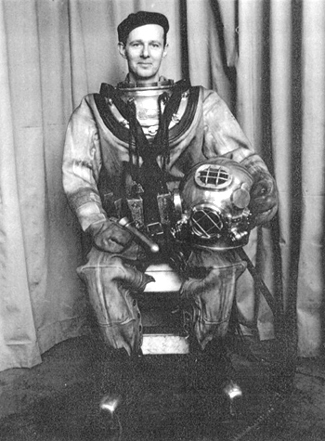 He was in the US Navy during WWII and served aboard the Diver-Class rescue and salvage ship the USS Current (ARS-22). His ship operated in the Pacific Theater rescuing and salvaging war ships from July 1944 through Nov. 1945. 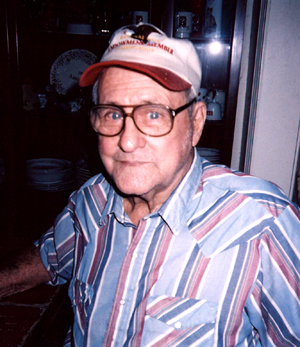 Mr. Maxwell owned and operated the Ford Tractor dealership in Ruleville MS for many years. 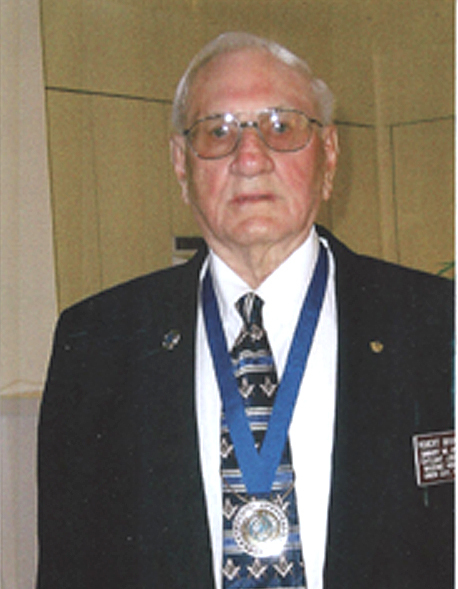 He was a member of First Baptist Church of Ruleville, and a member of the Ruleville area Masons. Mr. Maxwell is also survived by grandchildren Sean Maxwell, Mimi Harder, Brian Maxwell, Helen Maxwell, Monica Wolfe, Matt Maxwell, Coco Plum, Josh Maxwell, Jamie Harrell, and Shea Lusk. Great grandchildren; Shelby Sheppard, Joshua Harder, Alex Roberts, Allen Maxwell, Felecia Maxwell, Brennan Raney, Tyler Raney, Jake Wolfe, Nichole Lusk, Justice Lusk, Ashley Cocilova, Lance Lusk and Riley Lusk. 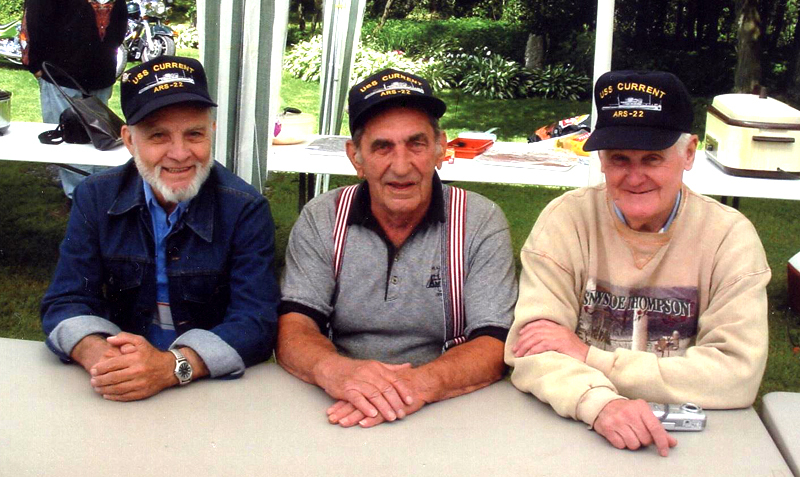 Mr. Maxwell's WWII service was on the salvage ship USS Current ARS-22 from 1944 to 1946 in the Pacific Theater. His interment is at the Lehrton Cemetery, Ruleville, Mississippi. Greenough, Ralph M., 95, born on June 10, 1918 in Royal Oaks Michigan passed away December 23, 2013. Ralph grew up in Michigan and moved to California as a result of employment as an accountant with GM in Van Nuys and retired after 30 years. He was a proud World War II veteran, serving in the U.S. Navy aboard the USS Current ARS-22. He is survived by his wife Gloria (Gigi); daughter, Zandra (Steve Gastelum; grandchildren: Veronica Rosati, Preston (Devin) Ball, Nicholas (Mary Pryor, prides of his life great-grandchildren: Avery Rosati, Deegan and Savannah Ball, brother Robert Greenough and sister June Greenough. A Celebration of Ralph's life will be held Saturday, January 4, 2014 at 2 pm. In lieu of flowers, please make donations to the American Cancer Society. Interment is at the Bakersfield National Cemetery, Arvin, California. 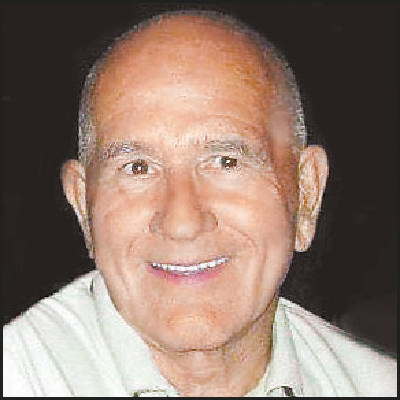 Thomas J. Groody, 85, passed away on May 12, 2010. 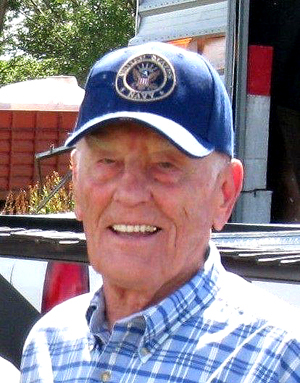 A U.S. Navy Veteran of World War II and Korea, he served on the rescue salvage ship USS Current ARS-22. He was a member of the American Legion Post 1023, Elmont, N.Y. and the Knights of Columbus of the Memorare Council). He was the loving husband of Alice A., beloved father of Thomas M. (Deborah), Edward F. and William A., cherished grandfather of two and great-grandfather of two. He was survived by many nieces and nephews. Friends may call Saturday and Sunday 2-5 and 7-9 PM at the Thomas F. Dalton Funeral Home, Hicksville Chapel, 47 Jerusalem Avenue (corner of West Marie St.) Hicksville, New York. Funeral is Monday 9:45 AM at St. Ignatius Roman Catholic Church. Interment will be at Nassau Knolls Cemetery, Port Washington, New York. of the Naval salvage vessel USS Current in a combat area in the Western Pacific. 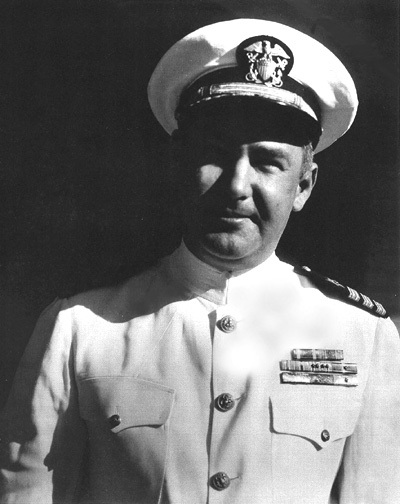 Lieutenant Commander Duffy assisted in salvage and towing operations which resulted in removing two damaged warships from the danger area and into a safe port at Uliti Atoll. the highest traditions of the United States Navy. Frank J. Zwolinski 86, passed away March 23, 2005. Born November 15, 1918 in Rochester, N.Y. and reared in Penn Yan, N.Y. A resident of Sunnyvale, California he passed away in Mountain View, California. He was a Pearl Harbor Survivor, serving on the USS Raleigh, and active in the Pearl Harbor Survivors Association, Chapter 2. His Navy Career spanned 30 years, serving during Word War ll, Korea and Vietnam. He attained the rank of Commander before his retirement in 1968. 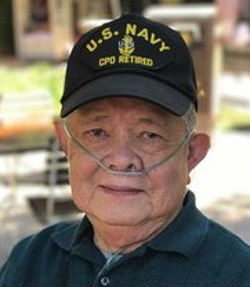 After retirement from the Navy he went to work for the County of Alameda. he retired a second time in 1980 from the position of Emergency Services Coordinator for the Alameda County Office of Emergency Services. He was a San Lorenzo resident for 45 years and was very active in his community. He was a volunteer at Hayward's Historical Museum, active in the San Lorenzo Homeowner Association and a bingo caller at St. Joachim's Catholic Church. he also served as Fire Commissioner for the San Lorenzo Fire Protection District. He was preceded in death by his wife of over 50 years, Agnes Leona (Zubris) Zwolinski, whom he went to school with in Penn Yan, N.Y. He is survived by his son Frank J, Zwolinski and his partner, Jim Mulligan, of Santa Rosa; his son Paul M. Zwolinski and his wife, Billie of Sunnyvale; his daughter, Donna J. Madeira and her husband, Lou, of Folsom; and his daughter Carol Z. Fairchild of San Jose. He is also survived by his grandchildren, Matthew Zwolinski of San Diego. Paul Madeira of Arcata, Anna Madeira of Folsom, and Peter Madeira of Folsom. He will be sorely missed by his family and many friends. A memorial service to celebrate his life will be held Sunday April 3, at 1 p.m. at Machado's Hillside Chapel, 1051 Harder Road, Hayward. A private interment with full military honors will take place Monday at Holy Sepulchre Cemetery, Hayward, California. Harold De Vern Canfield, 83, passed away February 8, 2006 after a long illness. Born November 23, 1923 in Brigham City, Utah. Retired from the U.S. Navy after 29 years of service. Member of UDT (Underwater Demolition Team Three). A Pearl Harbor Survivor attached to the U.S. Naval Hospital, Pearl Harbor, Hawaii. Served in WWII in both the Asian and European Theaters of war. Participated in the invasion of Normandy and served in Korea. He was a loving family man and is survived by his wife of 34 years, Charlotte Canfield; a daughter, Kathleen Andrews; stepson, Donald Baird; two grandchildren, Jason Andrews and Francheska Anderson; two stepchildren, Don Jr. and John Baird; a great-grandchild, Ethan Anderson and a step-great-grandchild, Simon Baird. Memorial services will be held in California. 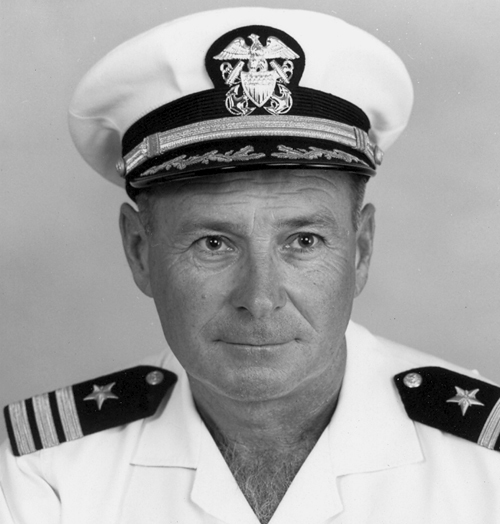 Retired U.S. Navy Chief Warrant Officer Jerome Allen "Jerry" Monaghan, 82, of Kittery ME, died surrounded by his family at the Edgewood Center on Oct. 21, 2004, after a period of declining health. Born in Bridgeport CT on Jan. 23, 1922, he was raised in Gardiner ME, where he attended local schools. 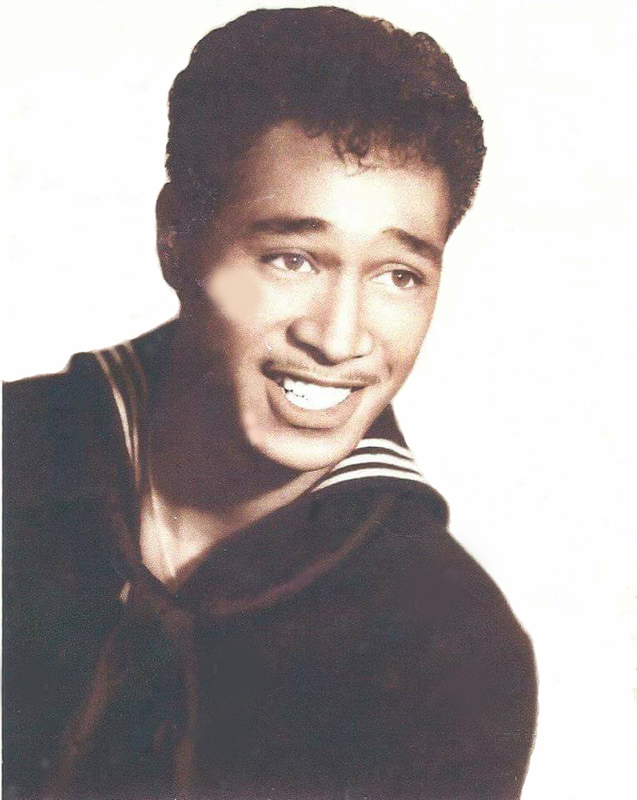 He enlisted in the U.S. Navy in September of 1942 and retired in June of 1971, after serving his country for 31 years. He was a veteran of World War II, Korea, and Vietnam. His Naval career took him from the South Pole to the North Pole. He was also USS Current's salvage diving officer and taught salvage theory at the diving school in Bayonne NJ, where he met his wife Rose Mary, to whom he was married for 51 years. 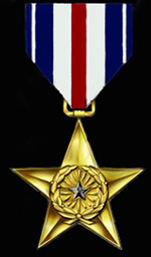 He received many commendations and campaign ribbons during his career. 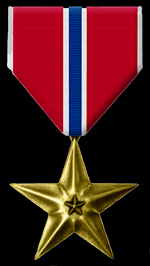 He received the Antarctic Expeditionary Medal. 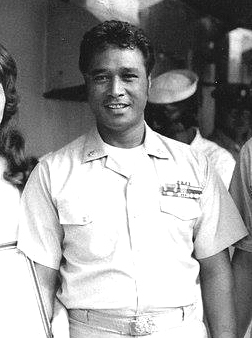 While in Vietnam, he was attached to Harbor Clearance Unit 1, officer in charge of the YLLC-5 boat that patrolled the My Cong River Delta, where he earned the Vietnamese Cross of Gallantry. 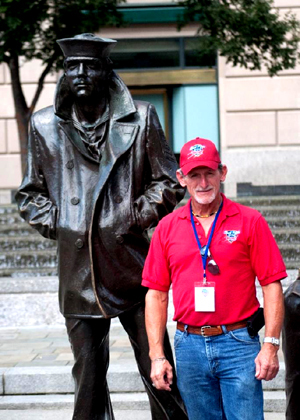 As a bosun, he was plank owner of the U.S. Navy Memorial in Washington DC. He was also docent at the Portsmouth Naval Shipyard Historical Museum. 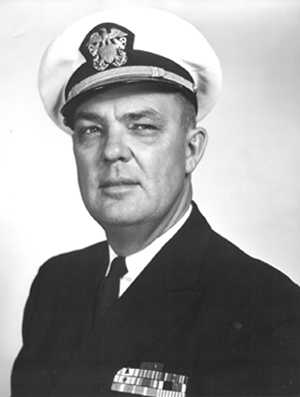 He was a member of the Navy League, the Retired Officers Association, and the U.S. Naval Institute; and he was a life member of the Frank E. Booma Post of Portsmouth and the American Legion Post 188 in Eliot ME. He enjoyed delivering the Thanksgiving and Christmas baskets for the Eliot Lions Club with his grandchildren. 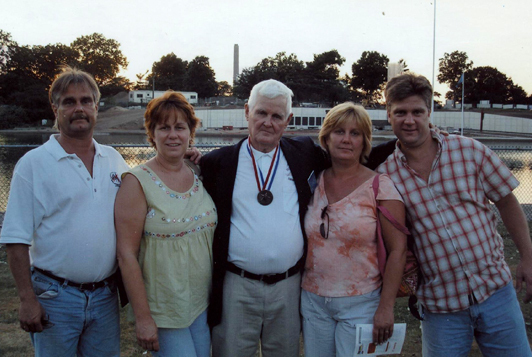 He was a quiet man with a dry sense of humor and enjoyed having family and friends come to visit. Even though he traveled extensively with the military, he still enjoyed family vacations across the country. He also enjoyed cruises. He is survived by his wife, Rose Mary (O'Donnell) Monaghan; son Timothy of Baltimore MD; daughter Cissy Furbish and husband Bruce of Kittery; grandchildren Jeffrey Monaghan and Michael and Amanda Furbish; brother-in-law and sister-in-law John and Alice O'Donnell of Cary NC; brother-in-law George Kiefer of Beachwood NJ; and several cousins, nieces, and nephews. He was predeceased by his mother Alice Beatrice Monaghan in 1964. 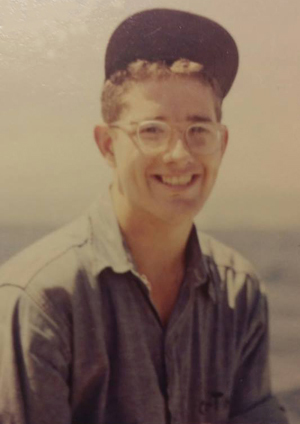 He will be sadly missed by the people whose lives he has touched including his many friends and neighbors, as well as friends at the Portsmouth Naval Shipyard Historical Museum, Compass Care, and Edgewood Center. Harold Raymond Minard, 93, of Winnabow, North Carolina died Saturday, February 5, 2011, at New Hanover Regional Medical Center. A memorial service will be at 11 a.m. Wednesday at Wesley Memorial United Methodist Church. Burial will be at Sea Lawn Memorial Park, Hampstead. Andrews Mortuary, Market Street. On the 26th day of March, 1997, “Freeman” Dave the Kanabite returned to his Father in Heaven. Born Richard David Nuttall on October 26, 1931 in Park City, Utah to David Verl and Hilda Ingrid Sutherland Nuttall. He was raised and educated in Utah County. He entered the United States Navy in 1949 as a medic attached to the U.S. Marine Corp. During the Korean Conflict his bravery and skill earned him the respect of his superior officers and peers. He was awarded many medals, two Silver Stars, Three Bronze Stars and the Purple Heart for wounds received in the Battle for Pork Chop Hill. He continued his military career through the Vietnam era serving on USS Current ARS-22 where he received numerous awards for his gallantry and accomplishments. He retired from the Navy in 1969 with 20 years of honorable service to the country he loved. He fell in love with and married Carol Ann Williams on December 26, 1953. Their marriage was later solemnized in the Mormon Temple in Salt Lake City, Utah. 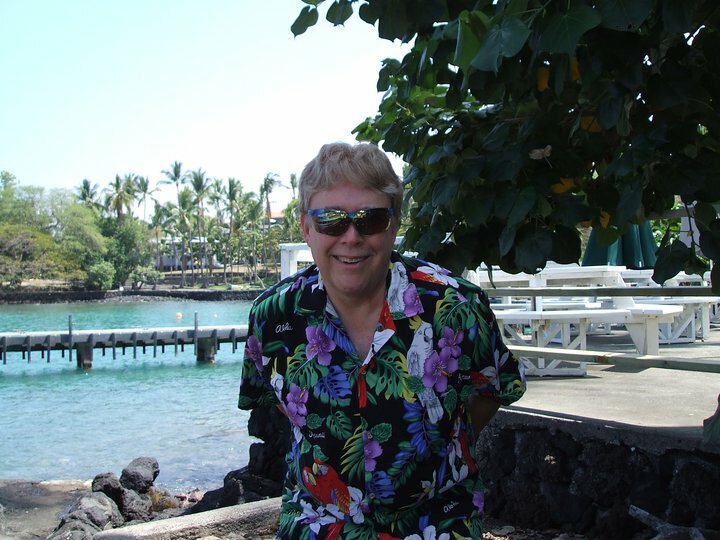 He is survived by his sweetheart, pal and good buddy, Babbett (Betty) Reisler Nuttall; his sister Gloria Gay Neeves; his children David Arthur (Teresa), Richard Verl (Karen), Stephen Joseph (Renay), Erika Ann Evans, Crystal Gay (Brad) Brown, Heather Ingrid Kealoha (David) Yarbrough, Nancy Ellen Durrant and William Ephraim (Gabriella); 84 grandchildren; many nieces, nephews and friends. He was preceded in death by his sweetheart of 37 years, Carol Ann Nuttall; one daughter, Mary Carol Nielsen, and three grandchildren: Daniel Justin Nuttall, Aimee Elizabeth Nuttall and Amanda Benevento. “Freeman” Dave’s hero was Captain Moroni in the Book of Mormon and he truly believed in the Title of Liberty…our God our religion and freedom. Graveside services were held in Deer Springs, Utah on March 29, 1997 under the direction of Mosdell Mortuary. EAKIN, RICHARD GORDON, 85, formerly of Vestavia Hills, passed away on Friday, November 23, 2012. He was preceded in death by his wife of 54 years, Marie Britt Eakin. He graduated from Atlantic Christian College in Wilson, NC where he met and married his wife Marie. Richard served in the Navy during WWII. He worked for the Economy Book Company for 25 years, and then did consultant work after retiring. He was an avid fisherman and Alabama Football fan. He is survived by his daughter, Lynn Murray (Charles), of Dora, AL; his brother, Tom Eakin and his sister, Eileen Harrison (Ed) both of New Castle, PA; and numerous nieces and nephews. The family will receive friends on Tuesday, November 27, 2012 from 12 to 1 PM at Currie-Jefferson Funeral Home in Hoover. Graveside service will follow at 1 PM in Jefferson Memorial Gardens, South with Dr. Al Moore officiating. Special thanks to the West Wing staff of Golden Living Nursing Home for their love and care. Lawrence Keanu Manini, 56, was born August 28, 1937 and died February 2, 1994. He was U.S. Navy Vietnam veteran attaining the rate of Boatswain Mate Chief and serving on the USS Current ARS-22 as a Master Diver. He is survived by his wife and six daughters. He is interred at the Hawaii State Veterans Cemetery, Kaneohe, Hawaii. Percy Michel LaCour, 65, a retired instrument technician at Exxon Chemical Co. and a resident of Prairieville, died Sunday, March 4, 2001, at his home. He was a native of Mansura. He was a U.S. Navy veteran. Visiting at Rabenhorst Funeral Home East, 11000 Florida Blvd. Religious services at Most Blessed Sacrament Catholic Church, conducted by the Rev. Miles Walsh and eulogy by Pastor Ken Nelson. Interment in Port Hudson National Cemetery. He is survived by his wife, Maurine B. LaCour; two sons, Kevin LaCour and wife Jean of Houston, and Monty Lacour and wife Reneé of Port Allen; four grandchildren, Nicholas, Tucker and Tanner LaCour and Dillon Couvillon; a sister, Gladys Francois of Cottonport; a brother, Allen LaCour of Des Allemands; a niece and husband, Elaine and Van Michel of Destrehan; two other nieces, Kaffie Cunningham and Linda Chant; six nephews, Terry and Bobby Francois, Joe Dufour, Larry and Rodney Ducote and Kurt LaCour. He is also survived by the following sisters-in-law and brothers-in-law and their families, George and Joyce Nelson of Seattle, Philip and Ann Bordelon of Clinton, and Victor and Carol Cashio and Ray and Mona Gaspard, all of Greenwell Springs. He was preceded in death by his father, Sydney S. LaCour, and mother, Edine B. LaCour, who were of Mansura; a sister, Ivy Rose Ducote, who was of Chalmette; and a half-brother, Ryan LaCour, who was of Bogalusa. He was a member of Most Blessed Sacrament Men's Club and Cajun Clickers. In lieu of flowers, memorial donations may be sent to American Heart Association, St. Jude Children's Research Hospital or Mary Bird Perkins Cancer Center. 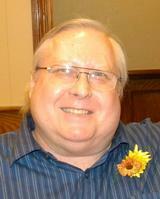 BOKANOSKI, WILLIAM JOHN, 67, of Floral City, Florida died Monday (March 4, 2002) in Inverness. Born in Hazleton, Pa., he came here in 1991 from Pinckney, Mich. He retired from the Navy in 1977 with 27 years of service. He achieved the rank of Boatswain Mate Chief Petty Officer and was a Master Navy Diver serving in the Korean and Vietnam wars. Survivors include his wife, Barbara Joslyn; three sons, Pastor Raymond E. Joslyn, Albuquerque, N.M., Jerry L. Joslyn, Prattsburgh, N.Y., and Ronald E. Joslyn, Belleville, Mich.; two daughters, Sharon E. Ferguson, Ypsilanti, Mich., and Shelia E. Calvin, Garden City, Mich.; several nieces and nephews; 13 grandchildren; and four great-grandchildren. Hooper Funeral Homes & Crematory, Inverness. Jerome J Fox, 56, born July 28, 1935 passed away June 23, 1992. He was a U.S. Navy Vietnam veteran attaining the rate of Hull Technician Chief and was a Master Diver. He is buried at the Fort Snelling National Cemetery in South Minneapolis, Minnesota. Daniel "Ace" Acfalle, 64, born August 22,1936 in Asan Village, Guam, Northern Mariana Islands, passed away September 20, 2000 in Vallejo, California. He was a U.S. Navy Vietnam veteran, retiring from the Navy after 20 years of service. 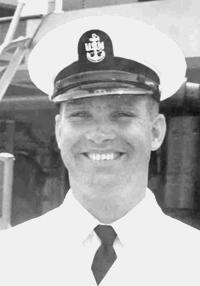 Walters, Vernon E., 54, a retired U.S. Navy veteran, attaining the rank of Engineman Senior Chief Petty Officer, died Friday, Nov. 29, 1996. Services will be held at 10 a.m. Wednesday at the Johnson & Sons Funeral Home, Hutchinson, Kansas. Survivors are his wife, Jane; son, Vernon Jr. of Riley; daughter, Victoria Schuckman, mother, Addie Paulk, brothers, Ira, Gary, all of Hutchinson, Kansas. Kenneth D. Bryant, 70, died April 8, 2004 at his home. He was married to Joan (East) Bryant for 50 years. Richard Sansaver, 51, born on February 28, 1936 passed away November 14, 1987. He was a U.S. Navy Vietnam veteran. He is interred at Evergreen Cemetery, Everett, Washington. A memorial celebration for Kenneth W. Byng of Oakland, Ark. was held noon to 2 p.m. Sunday at Oakland Community Center, with Tony De Weese officiating. Byng died Thursday, March 5, 2009, in Mountain Home at age 70. He was born Thursday, June 9, 1938, in Oconto, Wis., the son of Jerry Byng, Sr. and Ruth Fye. 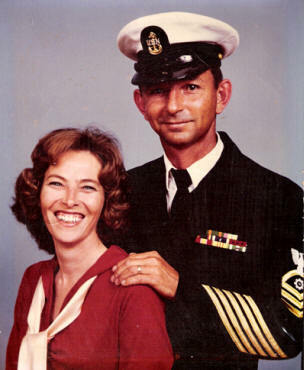 He married Elaine Johnson Nov. 3, 1968 , at Reno, Nev., and worked as a mechanical engineer for Military Sealift Command for 28years. Byng lived in Oakland, Ark. since 1988, moving from California. He was a proud American citizen and a patriotic naval veteran who was passionate for fishing, wildlife, the outdoors and gardening. He was a world traveler, experiencing many beautiful places and was a dedicated family man. Byng is survived by his wife Elaine; son, Bernard (Yvette) Byng of Tracy, Calif.; daughter, Pamela Byng of Charlotte, N.C.; brother, Jerry (Carol) Byng of Abrams, Wis.; two sisters, Shirley Earley of Pestigo, Wis., and Carol Owens of Milwaukee; numerous nieces and nephews; grandchildren Andrea and Jessica Byng; and special friends, Corky, Jim and Chuck. Memorials may be made to Gail's Pets Second Chance, P.O. Box 83, Oakland, AR 72661.Arrangements were by Kirby & Family Funeral and Cremation Services. Visit an online obituary and guestbook at www. kirby and family. com. 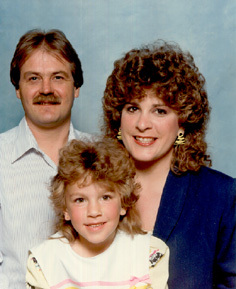 Richard Frank Jugar ("Rick") 69, wen receded in death by his father, Frank H. Jugar and his mother, Dolores Javier Cage. Rick was the first district court administrator to serve DeKalb and Rockdale Counties Superior Courts. He served in that capacity from 1982 through 1999. 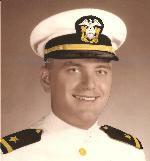 Rick was a proud U.S. Navy veteran serving from 1959 to 2001. Survivors include his wife, Ellen Westermann Jugar of Atlanta; his children, son, Steven Brenner and wife Katie; daughter Heather Brenner; son, Eric Jugar; grandchildren, Julian Jugar Hawkins , Olivia Grace Brenner and Jackson ("Jack") Steven Brenner; his brothers Alan Jugar of Lake City, Fl and Jeff Jugar and wife, Lisa of Montana, and several nieces and nephews. A memorial service will be held Saturday, Sept. 10, 2011 at 11:00 a.m. at St. Mark Lutheran Church, Tucker with Pastor Ray Borchelt officiating. Inurnment will be in Floral Hills Memory Gardens on Saturday, prior to the service. In lieu of flowers donations may be made to St. Mark Lutheran Church, 2110 Brockett Rd., Tucker, Georgia 30084. Please visit our online tribute at www.floralhillsfuneral.com. Arrangements by Floral Hills Funeral Home and Cremation Services, Tucker 770-491-3021. Charles E. Trainer, III, 65, of Port Arthur, Texas passed away Tuesday, August 23, 2011. Charles was born December 10, 1945 in Maywood, California to Charles E. Trainer, Jr. and Jennie Gahagan Trainer. He was as resident of Port Arthur for 61 years and retired as a Supervisor in the Power Department of Motiva after 32 years of service. He was also a U.S. Navy Vietnam veteran. Survivors include his wife of 41 years, Linda Bryan Trainer of Port Arthur, TX; two daughters, Kasey Trainer of Nederland, TX, Rebecca Ward and husband, Daniel of Lumberton, TX; son, Jeremy Trainer of Georgetown, TX; two sisters, Janice Butler and husband, Bob of California, and Cheryl Dotson of Idaho; two grandsons, Carter Ward and Jackson Ward. Funeral services will be at 11:00 a.m., Saturday, August 27, 2011 at Levingston Funeral Home in Groves, Texas with Reverend Steven Hays officiating. Military Graveside Honors will follow at Memory Gardens Cemetery in Nederland. A visitation for family and friends will begin Saturday morning at 9:00 a.m. at the funeral home. The family request casual dress for the visitation and services. Former Great Falls resident Mark Dudley Kjelsrud, 57, of Beaverton, Ore., an automotive technician and Navy veteran, died of Multiple Sclerosis Thursday in Aloha, Oregon. A "Celebration of Life" is noon Friday at the Beaverton Community Center. His body has been donated to Oregon Health and Sciences University for multiple sclerosis research, followed by cremation. Survivors include his wife, Gineve Jill Gilbert; a daughter, Cassandra Kjelsrud; his mother, Lois Kjelsrud; a sister, Karla Lindstrom; brothers Gary Kjelsrud and Eric Kjelsrud; and a grandson, Giovanni Kjelsrud. Mark was born Jan. 2, 1947 in Great Falls, where he was raised. 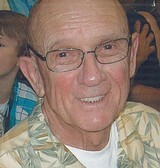 He graduated from Great Falls High School in 1965, then attended college in Havre. He was a U.S. Navy Vietnam veteran serving from 1967 to 1972, as an Engineman 2nd Class. 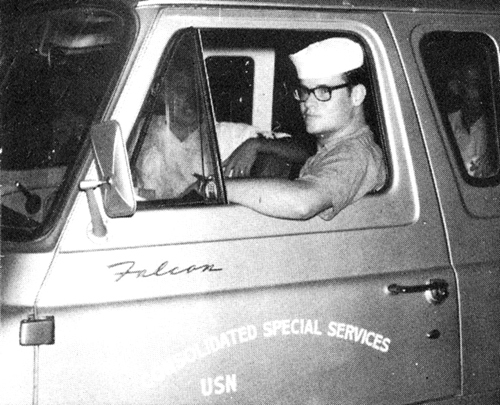 He later became a Master Technician for General Motors, receiving the highest honor in all five divisions as one of the top 30 in the nation. In 1988, to "get away from the wind," he and his family moved to the Portland area, where he enjoyed Harley Davidson Motorcycle rides, hot rods, and helping family and friends with "honey-do" projects, as long as power tools were involved. The only love that exceeded tools and cars were the arms in which he passed away, those of his "best friend" Gineve, his "pumpkin" Cassandra, and the reason he fought leaving us so long: grandson Giovanni "Spike" Kjelsrud. 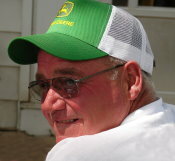 Dana Sucha, 61, of Schuyler, Nebraska was born November 23, 1949 and died Tuesday, August 23, 2011. He was a U.S. Navy veteran. Mass of Christian Burial: 10 a.m. Friday, August 26, 2011 at St. Augustine's Catholic Church in Schuyler. Visitation: 3-5 p.m., Thursday at Kracl Funeral Chapel and 6-8 p.m at the church. Rosary Service: 7 p.m, Knights of Columbus and Parish St. Augustine's. Burial with Military Honors at Holy Cross Cemetery in Schuyler. Memorials to Holy Cross Cemetery or to donor's choice. Lunch at St. Augustine's Parish Hall. Arrangements by Kracl Funeral Chapel of Schuyler. 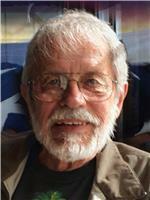 Ellis B. Ferguson, 75, passed away March 1, 2013 in Port Orchard, Washington. Ellis was born Nov. 1, 1937 in Monroe, N.C., to parents Loree (McManus) Ferguson and Carlton Odell Ferguson. 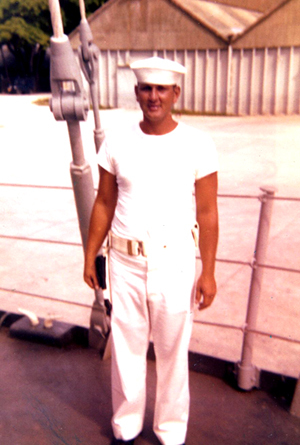 Ellis graduated from Monroe High School then began his tour in the Navy, receiving the rank of Engineman Chief and serving in the Vietnam War. 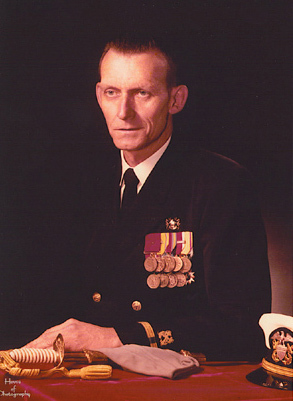 He served from 1955 to 1975. During that time, he met Sadako "Reiko" Imada and they married May 18, 1960, in Fukuoka, Japan. After his time in the Navy, Ellis worked and retired from Bangor as a crane operator for 19 years. 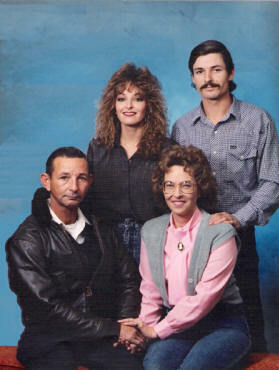 He is preceded in death by both his parents and sisters, Jan and Barbra. Ellis is survived by his wife, Sadako; his daughter, Sandy (Mark) Cain; and three grandchildren: Kyler, Colby and Kelsy Cain. Ellis enjoyed watching baseball, working in his yard and spending time with his family and grandchildren (who he took great pride in). At the family's request, no services are scheduled. Arrangements entrusted to Lewis Funeral Chapel. WORCESTER- Cdr. Victor B. Stevens, Jr., 75, of Worcester, died Saturday, August 22 at Cape Cod Hospital in Hyannis surrounded by his godchildren, Mary and Tom McGreevy and close friends. He was born in Worcester, the son of the late Victor B. Stevens, Sr. and Statia (Michalak) Stevens. His brother Richard predeceased him in 2005. 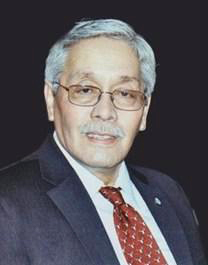 Victor graduated from St. Stephen’s High School in 1952, from Holy Cross College with a BA in English in 1956 and was awarded a Master’s and Advanced Degree in Guidance and Psychology from Assumption College in 1967 and 1972. 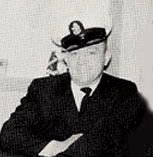 Victor had a distinguished career in the US Navy and was most proud of his assignment as 50th in Command of “Old Ironsides”, the USS Constitution from 1960-1963. Victor taught English and eventually was Director of Guidance at St. Peter’s Central Catholic High School in Worcester. He was particularly successful in his coaching of several winning varsity basketball teams while at St. Peter’s High School. Victor was founder of the 400 Clubs of Harwich Port and later in Marlborough and Worcester. He will be sorely missed by his many friends, former students and athletes who have known and loved him for his dedication, his love of the arts, the Cape, and his humor and wit. George Maurice "Shaka" Giganti, 90, of Aiea, a retired Navy marine surveyor and commander, died in Aiea. He was born in Lee, Massachusetts. He is survived by his daughter Linda A. Devore and two grandchildren. Private services. No Flowers. Donations suggested to Immaculate Conception Church, Ewa. Jack Courtney, 73, born July 22, 1941, passed away unexpectedly Monday, March 2, 2015 at Parkwest Medical Center in Knoxville, Tennessee. He was a beloved father, devoted electrician and a U.S. Navy Veteran. He was preceded in death by his mother, Minnie Floyd; sister, Jane Brooks. He is survived by his wife Sharon Courtney; sons, Michael and wife Sydney, Brian, Matthew, and Lee; grandchildren, Kristina, Jameson, and Bree; great-grandson, Mason Douglas; brothers, Thomas and Douglas, several nieces and nephews. Robert Gordon Bryan, 85, was born on May 16, 1931 in Kansas City, Missouri. He passed away on June 4, 2016 in Union City, California where he was a resident. Bob was a Korean War Veteran. 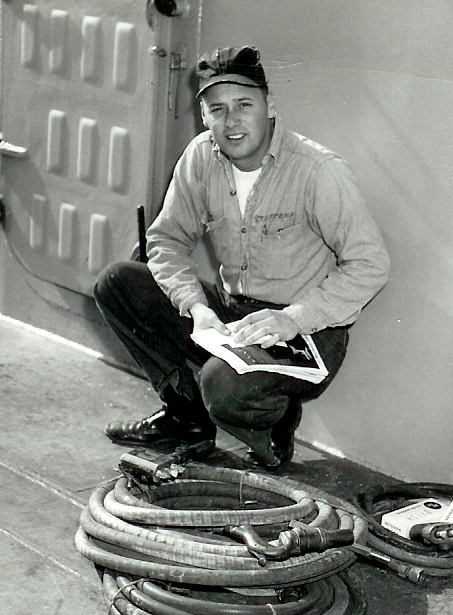 He served on the USS Current ARS-22, a rescue salvage ship from 1956 to 1960. 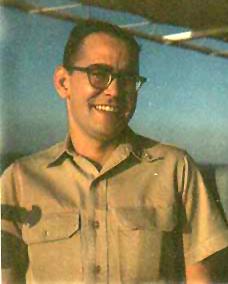 His last Navy assignment was aboard the ammunition ship USS Mount Baker AE-4. Bob worked for Icon Construction Company as a drywall installer. After retiring, he joined the Masons at the Masonic Siminoff Daylight Lodge # 850. On March 14, 2013 he was presented the Masonic Hiram Award honoring him for exceptional service. Bob is survived by his loving wife Joan, two sons, James of Clovis, California, and Michael J. of Pendleton, Oregon and three grandchildren. Bob's final resting place is a shrine at the San Joaquin Valley National Cemetery in Santa Nella, California. CLYO, GEORGIA - Noel B. Kessler, beloved father, grandfather, brother and uncle, went to be with the lord on June 22, 2016. Noel was a lifelong resident of Effingham County. He faithfully served his country as a veteran of the US Navy and the Vietnam War serving aboard the rescue salvage ship USS Current ARS-22. Noel had previously served his community as fire chief for the City of Springfield. Noel was most recently employed as a building inspector for Effingham County. Noel was also very active with the In Country Motorcycle Club, and participated in numerous charitable events to benefit veterans. He was also active in the American Legion. 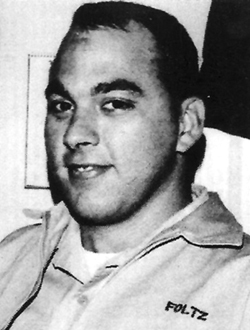 Noel was proceeded in death by his parents, Clarence J. Kessler Sr., and Christine Carr Kessler and his brother Brian E. Kessler. He is survived by his sons, Blake Garrett Kessler and Ashley Kliff Kessler (Libby); grandson, Gavin; brother, Jerry Kessler (Gayla); sister, Marla Tant (Kenny); sister-in-law, Sheila Kessler as well as several nieces and nephews. Visitation will be 6 p.m. to 8 p.m. Friday at the funeral home. Funeral services will be 10 a.m. Saturday in the chapel. Interment will follow in Springfield Cemetery Annex. In lieu of flowers, the family asks that you make a donation to the Wounded Warriors Project. Thomas C. Strickland & Sons Funeral Home, Effingham Chapel 912-754-6421. 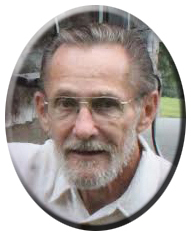 Jerry David Spickler, 75, Monrovia, passed away August 13, 2016. Mr. Spickler was born January 11, 1941, in Indianapolis to the late William Dewey and Dora Lee (Willock) Spickler. 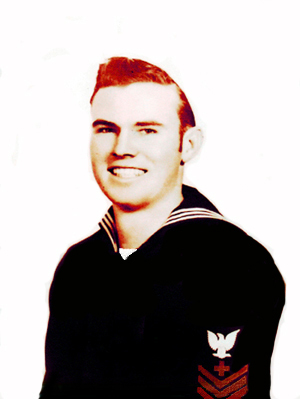 Jerry graduated from Arsenal Technical High School and promptly entered the United States Navy. He proudly served for four years and recently enjoyed coordinating a yearly reunion for his shipmates of the USS Current. Jerry retired from the United States Postal Service and previously owned Lake Valley Masonry Company. Jerry was also a member of the American Legion Post 707. He was an avid Indianapolis Colts fan and also had served as the president of the Hoosier Trail Blazers 4-Wheel Drive Club. Above all, Jerry was a loving husband, father, and grandfather. He had a special bond with his three sons-in-law and simply adored all of his grandchildren. He will be missed by a loving family and many friends. In addition to his parents, he was preceded in death by his sister, Janet Lee Kidwell. Survivors include his wife, Lavone (Welch) Spickler, to whom he was united in marriage August 29, 1969; daughters, Michelle Gladstein (Bob) of Monrovia, Dawn Hicks (David) of Greencastle, and Autumn Riggan (Josh) of Camby; grandchildren, Taylor Hicks, Zac Gladstein, Tyler Hicks, Connor Gladstein, Justice Riggan, and Jude Riggan. Friends and family will gather on Wednesday, August 17, 2016, 4 to 8 p.m., in the chapel at Carlisle – Branson Funeral Service & Crematory, Mooresville. The funeral service will begin at 11 a.m., Thursday, August 18, 2016, in the funeral home. Burial will be in West Union Cemetery, Monrovia. Memorial contributions may be made to the Leukemia & Lymphoma Society, Indiana Chapter. Visit website www.CarlisleBranson.com to share a favorite memory or to sign the online guest registry. BEACH - William John, 88, of Bethpage, NY on July 28, 2016. Proud Retired Detective Lieutenant with 32 years of service with the Nassau County Police Department. Served 8 years in the US Navy, Submarine Division aboard the USS Catfish and USS Current ARS-22 Past Commander of the Long Island based US Submarine Veterans. Beloved husband of the late Julia Beach. Loving father of John, Bonnie Beach-Gadigian (Joseph), Susan Klemm (Chris) and Thomas (Traci). Cherished Grandpa Whitey of DJ, William (Jacalyn), Kevin, Julia (Gene), Samantha, Christina, Ryan, Jennifer, Lia Rose, Eric, Brianna and Carly. Also survived by his siblings Harriet and Roy. Was loved and will be missed by many friends. The family will receive visitors Saturday 7-9 pm and Sunday 2-4 and 7-9 pm at the Arthur F. White Funeral Home, Inc., 234 Broadway, Bethpage. Funeral Service Monday 10 am at the funeral home. Interment with military honors following at Pinelawn Memorial Park. In lieu of flowers please make donations in William's memory to United Service Organizations at www.USO. org/Donate or the LI National Multiple Sclerosis Society at: http://www.legacy.com/obituaries/newsday/obituary.aspx? Robert "Bob" Bland Toombs was born November 9, 1923 at Webster Groves, MO to James Madison Toombs and Sarah (Bland) Toombs. He passed away December 12, 2010 at Jefferson Barracks VA Center in St. Louis, MO at the age of 87. He was united in marriage to Geraldine Zinn on December 1, 1946 at Brentwood, MO and to this union six children were born Linda, Diane, Gary, David, Steve and Stanley. Bob was preceded in death by parents James and Sarah Toombs; one brother Russell Toombs and three sisters Eva Reaves, Marion Hess and Mildred Toombs. He is survived by his loving wife Geraldine of Winona, MO; two daughters Diane Kimes of Sacramento, CA and Linda Talbert and husband Ray of ST. Charles, MO; four sons Gary Toombs and wife Elaine of Potosi, MO, David Toombs and wife Sandy of St. Charles, MO, Steve Toombs of Winona, MO and Stanley Toombs and wife Mickie of Morse Mill, MO; 13 grandchildren Rodney Toombs and wife Micah of Mineral Point, MO, Russell Toombs and wife Nancy of St. Genevieve, MO, Dawn (Toombs) Boyer and husband Brian of Waterloo, IL, Shannon Toombs and husband Dan Potthast of Santa Cruz, CA, Eddie Kimes and wife Fran of Berthoud, CO, Melba Madsen and husband Buddy of Sacramento, CA, Billy Kimes of Sacramento, CA, Robert Thompson and wife Clara of Fayetteville, NC, Chris Toombs and wife Erica of Loveland, CO, Sarah (Toombs) Sykes and husband Seth of Loveland, CO, Stanley Toombs and fiancé Angel of Dittmer, MO and Justin Toombs and wife Mickie of Camp Pendleton Marine Base of San Diego, CA, Tracy Norris of Winona, MO; 1 step granddaughter Debbie; 22 great grandchildren; 1 step great grandson; 1 step great granddaughter; 2 great great grandsons; one great great granddaughter; several nieces and nephews; and a host of other family and friends. Bob served in the US Navy during World War II from June 12, 1941 to January 12, 1947. He was a deep sea diver while serving on the USS Current. After his military service he worked as an iron worker until retirement. He worked in Aruba, Columbia, Venezuela and Canada. Bob loved to make muzzle loaders and gave away many of them to family and friends. He would work for hours whittling chains, wooden spoons and canes. Bob was a friend to many people and was always willing to help those in need. He was loved by many friends and especially his family. He will be sadly missed by all who knew and loved him. Funeral services were held Thursday, December 16, 2010 at the Duncan Funeral Chapel in Winona, MO with Rev. Archie Taylor officiating. Interment was in Horner Cemetery in Winona, MO under the direction of Duncan Funeral Homes. Lawrence E. "Larry" Leighty of East Lackawannock Township passed away Tuesday evening, Feb. 14, 2017, in Countryside Convalescent Home, Mercer, Pennsylvania. He was 88 years old. He was born on May 13, 1928, in Sharon, a son of Paul F. and Hazel L. (Redfoot) Leighty. On April 22, 1966, he married the former Mary Adams, who survives. He was a U.S. Navy veteran, having served during World War II from 1945 to 1949 on the USS Current ARS-22 which participated in the atomic bomb tests at Bikini Atoll. He was honorably discharged and had received the WWII Victory Medal, the Asiatic Pacific Campaign Medal and the Good Conduct Medal. He had worked as a truck driver for several area companies and retired in 1992 from Anderson Bus and Tour, Greenville. He was a member of the National Association of Fleet Tug Sailors (NAFTS), Fredonia American Legion Post 919 and Mercer Baptist Church. In addition to his wife Mary, he is survived by three daughters, Mary (Gary) Garrett, Brooksville, Fla.; Alice (Terry) Skinner, Brooksville; and Lillie (David) DiClaudio, Hubbard; a son, Gerald (Kara) Leighty, Hermitage; grandchildren, Larry (Connie) Maun, Candace Maun, David DiClaudio Jr., Melody (Nick) Day-Webb, Addie Leighty and Trevor Leighty and his fiance Mickie; 12 great-grandchildren; numerous stepgrandchildren and stepgreat-grandchildren; a sister-in-law, Delsie Leighty, Mercer; and many cousins. In addition to his parents, he was preceded in death by a brother, George Leighty; and a sister, Ruth and her husband Henry and a grandson, Christopher Day. The family has suggested that memorial tributes may be made to Mercer Baptist Church, 908 Butler Pike, Mercer, PA 16137. Lawrence E. "Larry," 88, of East Lackawannock Township. Calling hours: 2 to 7 p.m. Friday (2-17-17) and 10 a.m. to time of service Saturday (2-18-17) in ROBERT L. SNYDER FUNERAL HOME AND CREMATORY, Inc. 169 Second St., Fredonia. Memories and condolences may be shared with the family online at snyderfh.com. Service: 11 a.m. Saturday in the funeral home. Burial: Committal service and interment with military honors accorded by Reynolds VFW Post 7599 will follow at Millbank Cemetery. My Vern rolled out of this life and stepped into Glory on the morning of October 20, 2015 and is walking by his Savior's side. 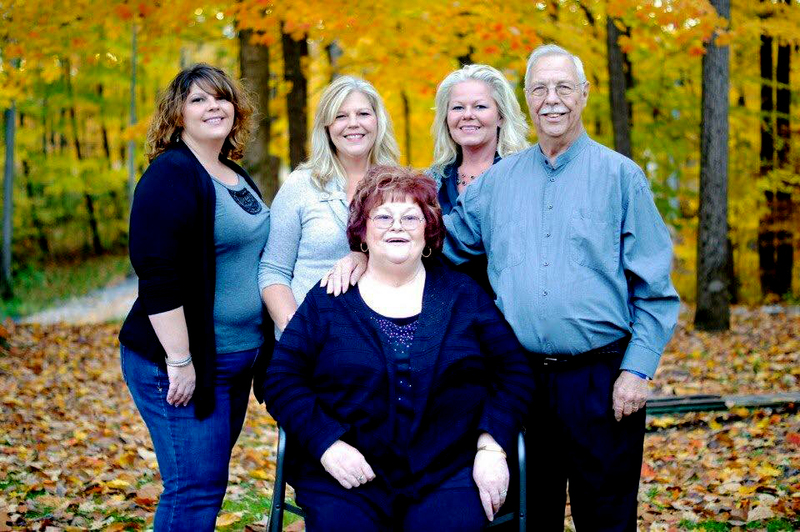 Vern fiercely fought a lung disease for months, but the Lord saw how battle-weary he was and called him Home to rest. The love of my life was a Navy Vietnam Veteran who served aboard the USS Current ARS-22 from 1965-1968 and spent some time in the Naval Reserve. He is survived by his wife, son, 2 daughters, 6 grandchildren, 1 brother, 2 sisters, nieces and nephews. Vern's wish was not to have a memorial service, but simply to be remembered as the guy in the wheelchair who loved to share God's Grace with everyone. You ran the good race and fought the good fight Vern. It's been a good ride! Fair winds and smooth sailing. SCHERTZ, TX - Pedro Ilagan Banayad passed away on October 9, 2017 at the age of 86 years. He was a generous, proud, family-oriented man and a passionate storyteller. Pedro, commonly known as Pete – or affectionately as Lolo Pete – was born in Lemery, Batangas, Philippines, on October 19, 1930. Two years after his birth, his family moved to Taal, Batangas, where he spent his childhood and survived the Japanese occupation of the Philippines during World War II. Those who knew him surely heard how he became the self-proclaimed youngest horse and buggy driver and youngest jeep driver in Taal. 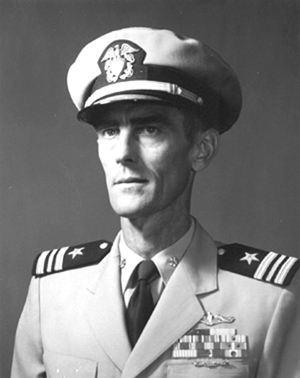 He embarked on a 20-year career with the US Navy on June 24, 1955 and was stationed in Japan, California, Hawaii, Scotland, and Wisconsin. Pedro married the love of his life, Zenaida de las Alas, on April 8, 1956 – after years of courtship where she kept declining his marriage proposals until he had a job. Together, Pedro, Zenaida, and their three children traveled the world with the Navy – including road tripping across Europe – before settling in Racine, Wisconsin in 1974. He retired from the Navy in 1975 and then worked at SC Johnson & Sons until his final retirement in 1992. Post-retirement, one of his long-running jokes was that he had been jobless for 25 years and that everyday is a Saturday. Pedro and his wife lived in Racine for 40 years before moving to live with their son and daughter-in-law in Schertz, Texas in 2014. He was an avid fisherman and often took his boat out on Lake Michigan, continued his fondness for cars and driving by being a longtime Lexus customer, and enjoyed his favorite drink, Johnnie Walker Black, while telling stories to anyone who would listen. He was preceded in death by his parents, Macaria Ylagan and Luis Banayad, siblings Lydia Banea, Simplicio Banayad, and Victor Banayad, and infant sons Joseph and Paul. Pedro is survived by his adoring wife of 61 years, Zenaida; children: Zoraida (Chris) of Cincinnati, OH, Antoinette (Fredrik) of Stockholm, Sweden, and Gerard (Linda) of Schertz, TX; grandchildren: Meghan (Brad) , Courtney, Aaron, Con, Mallory, Morgan, and Oliver; great-grandchild: Lark; many nieces, nephews, cousins, and other relatives – including the furry, four-legged family dog who loved sharing Pedro’s ritual breakfast of Cheerios. Kenneth J. 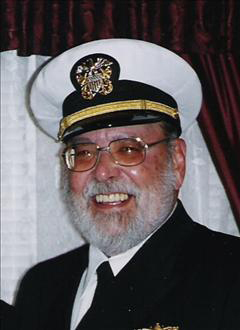 Seaman, 77, passed away on December 27th 2017. He was born in Brooklyn, NY on 27 April 1940. He enlisted in the United States Navy July 5, 1957 as a recruit and retired as a Chief Warrant Officer (W-3) on July 31, 1978. He met Wilma, his wife of 55 ½ years, while stationed at Search & Rescue, Pearl Harbor, and they were later married in Pocatello April 29, 1961. Ken was a veteran of the Vietnam War and received the Navy Combat Action Ribbon, Good Conduct Medal (3 awards), National Defense Medal, Meritorious Unit Commendation (2 awards), Korea Defense Service Medal, Vietnam Service Medal, Vietnam Campaign Medal (4 awards), Battle Efficiency Ribbon (2 awards), Naval Overseas Ribbon, Naval Sea Service Ribbon and the Vietnam Cross Gallantry with Valor. 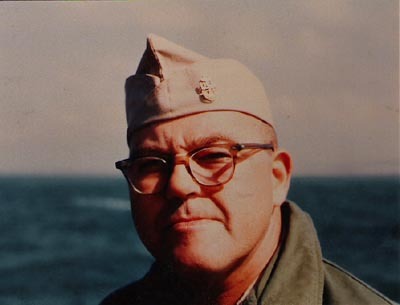 He was a "Gold Hashmark" Master Chief Petty Officer (E-9) and served on the USS Ingraham (DD-694), USS Lester (DE-1022), USS Forrest Sherman (DD-931), USS Current (ARS-22) and USS Mars (AFS-1). He was awarded Honorary Crew member status from the USS Niagara Falls (AFS-3) and USS Barbour County (LST-1195). After retiring from the Navy, Ken joined the Pocatello Fire Department and served as Secretary-Treasurer of Local #743, I.A.F.F. He helped plan the city's emergency service communications center and retired from the Pocatello Police Department in 1993. He served as three terms as Adjutant of American Legion Pocatello Post #4; Chaplain and Senior Vice Commander of Chapter #3 Disabled American Veterans; Senior Vice Commander of VFW Pocatello Post #735 and organized USS Idaho Branch #133 of the Fleet Reserve Association, serving as first President, later as Secretary, Treasurer and on the Board of Directors. Ken is survived by a brother Donald, a daughter Karen (Dave Fullmer) and son Kevin (Teressa), grandchildren Matthew (Amanda Hart), Crystal, Elizabeth, Kenneth and Alex, several cousins and nieces and nephews. He was preceded in death by his parents, a brother and a sister and by the love of his life, his wife, Wilma. Ted Allen Guthrie, passed away at the age of 78 on March 31, 2018 at 12:30 pm. He was born on November 19, 1939 in Yakima, Washington and was a resident of LaPlace, LA for the past 25 years. He was a US Navy veteran and served from 1956-1960 on two ships, The USS Current (ARS-22) and the USS Firedrake (AE-14). 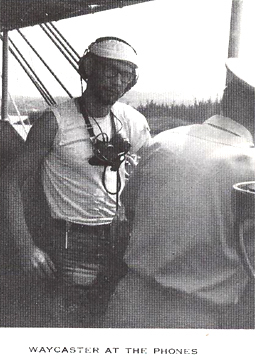 He attended college in Oregon and held a private pilot's license. He worked for Navy contractors in Guam, San Diego and New Orleans and retired from Ingalls Shipbuilding, a division of Huntington Ingalls Industries, as an electrical engineer. He is survived by his wife, Densita Guthrie and nieces and nephews. A Memorial Service will be held on Sunday, April 8, 2018 at 2:00 pm at Garden of Memories Funeral Home, 4900 Airline Drive in Metairie, LA. Visitation will begin at 1:00 pm. The online guestbook is available at www.gardenofmemoriesmetairie.com. Arnold Wayne Ferrel, 73, of Burlington, Iowa died at 7:00 PM Wednesday, February 8, 2017, at his home. Born December 27, 1943, in Ottumwa, he was the son of Archie and Lois Ferrel. On January 24, 1981, he married Christine Yvonne Mark in Burlington. She died on September 7, 2016. 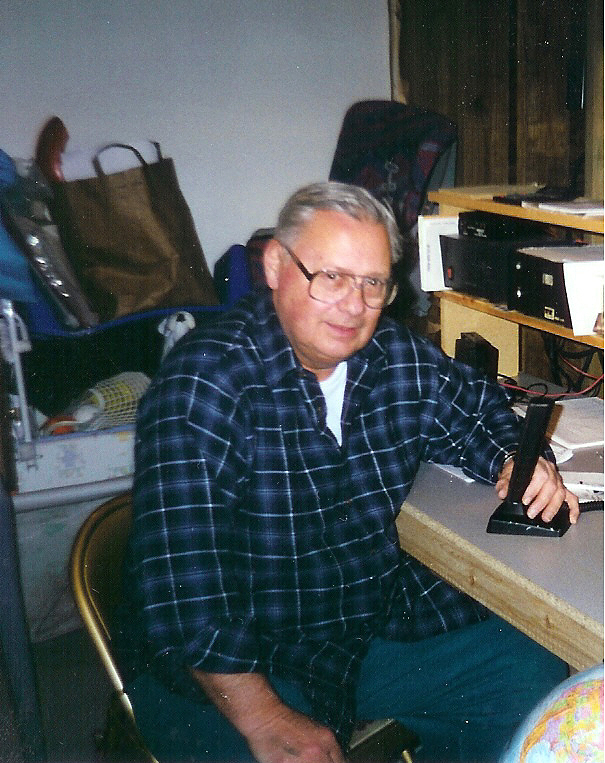 Arnold worked as a forklift driver for Champion Spark Plugs for 48 years. 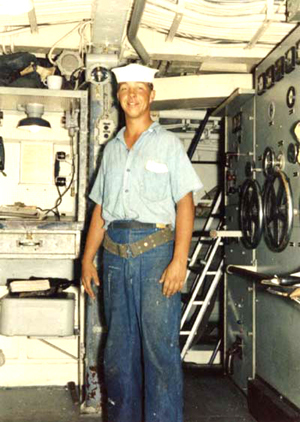 He was a U.S. Navy Veteran, serving on USS Current ARS-22 from 1963-1967. Arnold loved cruising around in his trucks, cars, can am and anything with wheels. He finally got to see his Cubbies win the World Series. He enjoyed playing Mahjong, watching NASCAR, cheering on Jeff Gordon and Dale Earnhardt Sr. and collecting coins. Arnold's greatest joy was watching his grandchildren and great-grandchildren run amok. Survivors include one son, Derrick Jennings of Oakville; two daughters, Teresa Ferrel of Oakville and Jessica Ferrel of Burlington; five grandchildren, Laura (Bryant) Wilson, Emily Rios, Silke Jennings, Will Rios and Sydnee Brown; five great-grandchildren, Elliot, Isaiah, Taryn, Madelene and Kirah and one niece, Jackie. He is preceded in death by his wife, parents and one brother, Raymond. Visitation will be from 1:00 PM until 2:00 PM Monday, February 13, 2017 where the family will receive friends at Prugh~Thielen Funeral Home. The memorial service for Mr. Ferrel will be 2:00 pm Monday, February 13, 2017, at Prugh~Thielen Funeral Home with Pastor Wally Reynolds officiating. Full military honors will be rendered by the Burlington Area Veterans Honor Guard. In lieu of flowers, please direct memorial contributions to the Iowa Veterans Home in Marshalltown. Captain Gerald G. Stangl, a U.S. Navy combat veteran of WWII and the Korean War, passed away peacefully on April 22, 2016, just a month before turning 102 years old. “Jerry” was born May 25, 1914 in Roselle, Iowa. He was one of 13 children and grew up on family farms in Iowa, and later in Manitoba, Canada. He learned to drive a team of horses by the age of 8, and loved reading and playing baseball. 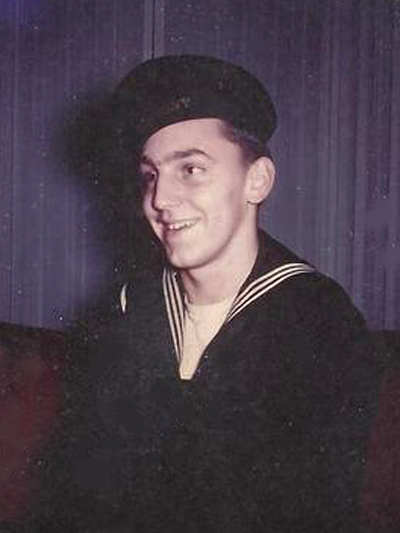 In 1936, Jerry made a spur-of-the-moment decision to join the U.S. Navy. He was visiting his cousins in Iowa and accompanied two of them to their Navy pre-enlistment physical. 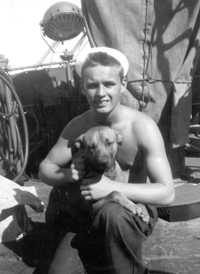 Neither of his cousins passed, but Jerry walked out enlisted in the Navy. 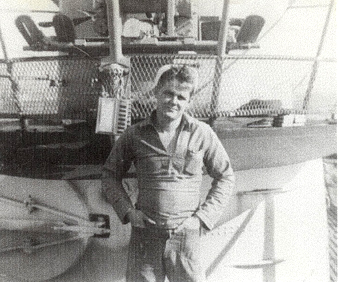 Jerry had never seen the ocean before, but he soon did as a seaman on a seaplane tender and then on destroyers. He was briefly discharged in 1940, but quickly reenlisted after visiting his parent’s farm in Canada and realizing the military paid better than farming. 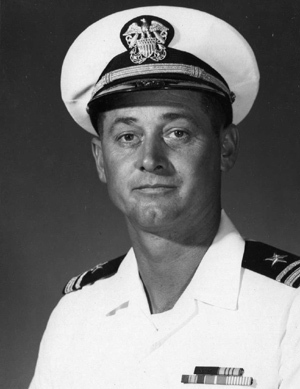 Jerry went into submarines when he reenlisted and eventually became Chief-of-Boat on the R-1, his first submarine, and later earned a wartime commission as an officer. He was then transferred to the Pacific where he served on the USS Bugara. Jerry met his future wife, Dorothy E. Thomas, on leave in New York. They were married after the war in 1946 in Hawaii. Jerry continued in submarines after the war as Commanding Officer of the USS Tarpon, based in New Orleans, during which time Jerry and Dorothy’s first child, Stephanie, was born. He was then transferred to surface ships and eventually became Commanding Officer of the USS Takelma, a fleet tug, and USS Current ARS-22, a rescue/salvage ship. 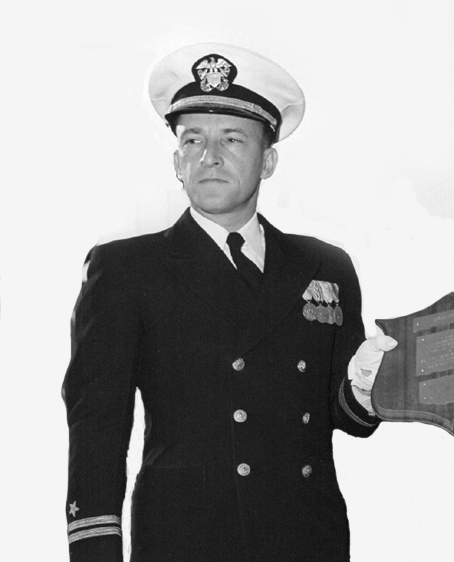 During his time on surface ships Jerry survived typhoons, mines and enemy artillery fire in Korea, and ice floes and arctic conditions while re-supplying the Distant Early Warning radar stations in Alaska and Canada. 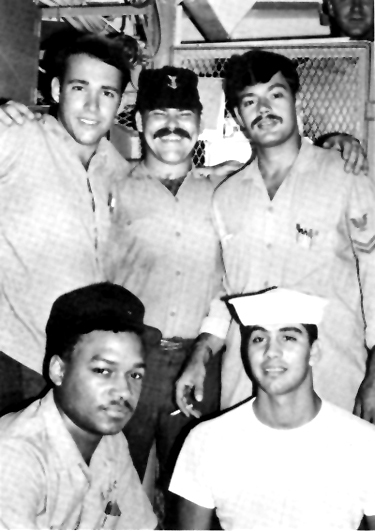 Interspersed with ship assignments, Jerry also had shore duty in Sasebo, Japan, Hunters Point, and Mare Island. Jerry and family eventually settled in Napa, CA, where Jerry and Dorothy’s second child, Dorothy (“Dolly”), was born. He retired in 1961 from the Navy as a Lieutenant Commander with 25 years of service while Chief of Security, Mare Island Shipyard. Jerry then began a second career as a State of California Driver’s License Examiner in Napa. He once said he was injured more seriously in accidents while administering driver’s license tests than in two shooting wars. Jerry retired from the Department of Motor Vehicles in 1979. Jerry and Dorothy loved living in Napa, where they raised their children and were surrounded by long-term neighbors and friends. 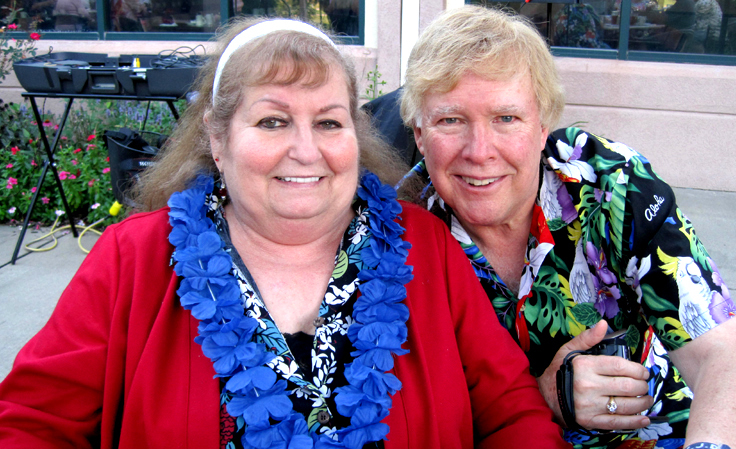 They enjoyed gardening, traveling and cross-country family trailer trips. Jerry was a member of St.. Thomas Aquinas Catholic Church throughout his years in Napa. Dorothy passed away in 1991 after 45 years of marriage. After Dorothy’s death, Jerry continued gardening, participating in travel clubs, taking brisk morning walks, and building and fixing things. Bernie Edward Waycaster, 76, of Hickory, passed away Saturday, April 28, 2018. Born July 19, 1941 in Crossnore, NC, he was the son of the late Bernie Waycaster and Ruth Buchanan Derreberry. In addition to his parents, he was preceded in death by his wife, Doris Hoyle Waycaster; and two step-children: Wilbert Wesley Cook, Jr. and Nora Sue Cook. Mr. Waycaster was a 20 year Navy Veteran and had retired from Kenworth Trucking Company, where he worked as a Corporate Warranty Manager. He enjoyed deep sea fishing and playing golf. He is survived by three children: Edward Joseph Waycaster and wife Amy, Dennis Robert Waycaster and wife Patience, all of Washington, Ashley Nicole Sousa of Alaska; brother, Dennis Ray Waycaster and wife Betty of Morganton, NC; grandchildren: Kayla, Samantha, Isaiah, Kylie Waycaster, Ashyln and Jason Avelson, all of Washington; step-son, Earl Lee Cook of Lincolnton, NC; step-grandchildren: Haley, Chelsea, and Leah Cook. A memorial service with military honors will be held at 3:00 p.m. on Saturday, May 19, 2018 in the chapel at Bass-Smith Funeral Home in Hickory. The family will receive friends an hour prior to the service from 2 - 3:00 p.m. at the funeral home. In lieu of flowers, memorials may be made in his honor to Burke County Hospice, 1721 Enon Rd., Valdese, NC 28690. Bass-Smith Funeral Home is serving the family of Bernie Edward Waycaster. To send flowers or a remembrance gift to the family of Bernie Waycaster, please visit our Tribute Store. 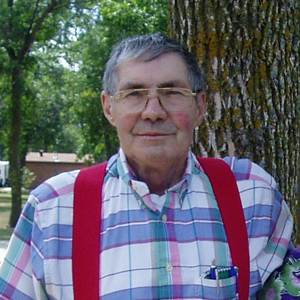 Jerry Joseph Meggison, age 76, of Red Oak, Iowa, passed away Friday, March 22, 2019 at the Montgomery County Memorial Hospital. Jerry was born July 14, 1942 in Iowa City, Iowa the son of Edward and Daisy (Hinkle) Meggison. He was raised in Carbon, Iowa, and Red Oak, Iowa, graduating from Red Oak High School in 1962. He served in the United States Navy on the USS Current ARS-22 during the Vietnam War and returned to Red Oak where he lived his entire life. Jerry was united in marriage to Jo Alice Rold on April 29, 1967 in Wales, Iowa. They made their home in Red Oak. Over the years, Jerry worked for Union Carbide Corporation until it closed, White House Lawns, Dan Phelps Farms, KRC Farms, and the rock quarry north of Red Oak. He also had been a paid fireman and a volunteer fireman for the City of Red Oak. Jerry loved to have fun with friends, fishing, yard work, gardening, swimming, and spending time with his family, especially the grandkids and great grandkids.